Warner Brothers and Rocksteady made a big splash this week when they announced that Batman: Arkham Knight would have a season pass costing $39.99. The standard retail version of Batman: Arkham Knight remains at $59.99, while the premium edition that includes the season pass will retail for $99.99, giving customers the unique opportunity to pay an additional cent for the bundled package. The season pass is set to include six months of downloadable content including story missions, character skins, race tracks, and a unique time stopping and menu interface feature. 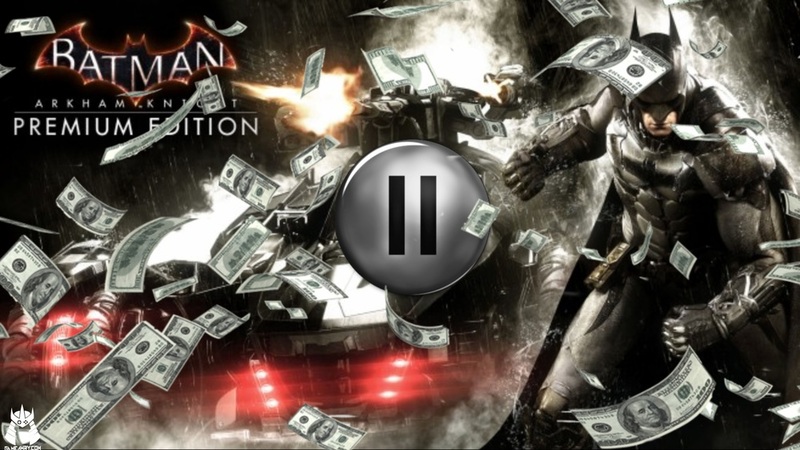 During any session of Batman: Arkham Knight, season pass owners will be able to pause play for whatever reason they deem necessary. As we all know, environmental distractions are a constant hazard to the gameplay experience so the ability to virtually halt all elements of the game at the tap of a button will be a welcome addition for many players. The pause feature will also be rolled out with a slew of menus allowing for subtle changes to the game's sound, video, etc.